Sharilyn helps those who want to make the world better. She enables philanthropists and their families to identify and achieve their philanthropic goals, and supports social profit organizations to deepen their performance. With a 20+ year career spanning the charitable sector, she draws on expertise in philanthropic strategy, family systems, organizational development, and board governance. Serving clients across Canada and the Caribbean, Sharilyn is an advisor with NYC-based 21/64 to support multi-generational family philanthropy. She is also a governance advisor and trainer with BoardSource, a Chartered Director (C.Dir) and member of the Institute of Corporate Directors. With a deep history and track record in local and international philanthropic communities, she serves on the Board of the Toronto Public Library Foundation. She is a leadership volunteer for the Imagine Canada accreditation program for charities in Canada – and coaches organizations to achieve these standards. 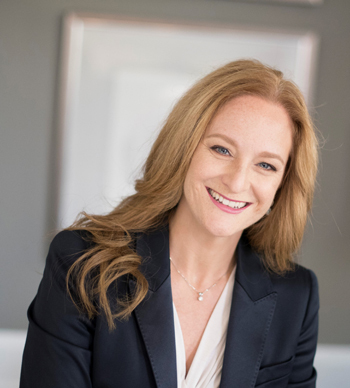 She was a Provincial Appointee to the Ontario Trillium Foundation, which is Canada’s largest grant-making foundation; and having begun her career as a professional fundraiser, Sharilyn is Past Chair of CFRE International, the global credential which sets the standard for effective and accountable fundraising. She is an invited speaker and educator to professional communities around the world in the areas of philanthropy, board governance, and fund development. She has written numerous publications and is co-author of the classic text Achieving Excellence in Fundraising (3rd ed. 2011, Wiley), and Excellence in Fundraising in Canada (2011, Civil Sector Press), as well as “Giving in the Caribbean” for the Palgrave Handbook on Global Philanthropy (2015). With deep expertise in women’s philanthropy gleaned from many years working with women’s organizations and initiatives – including YWCA Toronto where she created and led the record breaking campaign for the $80 million Elm Centre providing affordable and supportive homes for women – Sharilyn is known for her ability to combine on-the-ground practical leadership with the best of philanthropic theory and research. With an MA in Philanthropy & Development earned in the US, Sharilyn was among a group of leaders to initiate Canada’s first graduate degree program in Philanthropy and Nonprofit Leadership at Carleton University. She is a Research Associate with the Centre for Global Generosity, exploring philanthropy in the Caribbean, and a doctoral candidate completing her dissertation on governance in family philanthropy.